For the American musician, see Jello Biafra. For the West African bight known as Bight of Biafra, see Bight of Bonny. Biafra, officially the Republic of Biafra, was a secessionist state in West Africa which existed from 30 May 1967 to January 1970; it was made up of the states in the Eastern Region of Nigeria. Motto: "Peace, Unity, and Freedom." Anthem: "Land of the Rising Sun"
Minahan, James (2002). Encyclopedia of the Stateless Nations: S-Z. Greenwood Publishing Group. p. 762. ISBN 978-0-313-32384-3. Biafra's declaration of independence resulted in civil war between Biafra and Nigeria. Biafra was formally recognised by Gabon, Haiti, Ivory Coast, Tanzania and Zambia. Other nations, which did not give official recognition but provided support and assistance to Biafra, included Israel, France, Spain, Portugal, Norway, Rhodesia, South Africa and Vatican City.A Biafra also received aid from non-state actors, including Joint Church Aid, Holy Ghost Fathers of Ireland, and under their direction Caritas International, and U.S. Catholic Relief Services. Médecins Sans Frontières (Doctors Without Borders) also originated in response to the suffering. Its inhabitants were mostly Igbo, who led the secession due to economic, ethnic, cultural and religious tensions among the various peoples of Nigeria. Other ethnic groups that were present were the Efik, Ibibio, Annang, Ejagham, Eket, Ibeno and the Ijaw among others. After two-and-a-half years of war, during which almost two million Biafran civilians died from starvation caused by the total blockade of the region by the Nigerian and British governments, Biafran forces under Nigeria's motto of "No-victor, No-vanquished" surrendered to the Nigerian Federal Military Government (FMG). The surrender was facilitated by the Biafran Vice President and Chief of General Staff, Major General Philip Effiong who assumed leadership of the Republic of Biafra after the original President, Col. Chukwuemeka Odumegwu Ojukwu fled to Ivory Coast .After the surrender of Biafra, some property owned by Biafrans before the war was seized by Nigeria in the Abandoned Properties Act (September 28th, 1979) . Bank accounts owned by Biafrans were also seized and each Biafran was given £20 . Federal projects in Biafra were also greatly reduced compared to other parts of Nigeria . Map of West Africa (1839); Biafra is shown in the region of "Lower Guinea"
Little is known about the literal meaning of the word Biafra; early modern maps of Africa from the 15th–19th centuries, drawn by European cartographers from accounts written by explorers and travellers, show references to Biafra, Biafara, and Biafares. In his personal writings from his travels, a Rev. Charles W. Thomas defined the locations of islands in the Bight of Biafra as "between the parallels of longitude 5° and 9° East and latitude 4° North and 2° South". In 1960, Nigeria became independent of the United Kingdom. As with many other new African states, the borders of the country did not reflect earlier ethnic, cultural, religious, or political boundaries. Thus, the northern region of the country has a Muslim majority, being primarily made up of territory of the indigenous Sokoto Caliphate. The southern population is predominantly Christian, being primarily made up of territory of the indigenous Oduduwa and Biafra kingdoms in the East and West respectively. Following independence, Nigeria was divided primarily along ethnic lines: Hausa and Fulani majority in the north, Yoruba majority in the West and Igbo majority in the East. "At Jos in 1945, a sudden and savage attack by Northerners took the Easterners completely by surprise, and before the situation could be brought under control, the bodies of Eastern women, men, and children littered the streets and their property worth thousands of pounds reduced to reduced to shambles"
300 Igbo people died in the Jos riot. In 1953 a similar riot occurred in Kano. A decade later the Western political crisis divided the Western Region as Ladoke Akintola clashed with Obafemi Awolowo. The federal government, dominated by Northern Nigeria, allowed the crisis to unfold with the intention of declaring a state of emergency and placing the Western Region under martial law. In January 1966 the situation reached a breaking point. A military coup occurred during which a mixed group (although predominantly Igbo) army officers assassinated 30 political leaders including Nigeria's Prime Minister, Sir Abubakar Tafawa Balewa, and the Northern premier, Sir Ahmadu Bello. The four most senior officers of Northern origin were also killed. Nnamdi Azikiwe, the President, of Igbo extraction, and Western Region politician Obafemi Awolowo were not killed. The commander of the army, General Aguiyi Ironsi seized power to maintain order. In July 1966 northern officers and army units staged a counter-coup. Muslim officers named a General from a small ethnic group (the Angas) in central Nigeria, General Yakubu "Jack" Gowon, as the head of the Federal Military Government (FMG). The two coups deepened Nigeria's ethnic tensions. In September 1966, approximately 30,000 Igbo were killed in the north, and some Northerners were killed in backlashes in eastern cities. In January 1967, the military leaders Gowon, Chukwuemeka Ojukwu and senior police officials of each region met in Aburi, Ghana and agreed on a less centralized union of regions. The Northerners were at odds with this agreement that was known as the Aburi Accords; Obafemi Awolowo, the leader of the Western Region warned that if the Eastern Region seceded, the Western Region would also, which persuaded the northerners. Now, therefore, I, Lieutenant-Colonel Chukwuemeka Odumegwu Ojukwu, Military Governor of Eastern Nigeria, by virtue of the authority, and pursuant to the principles, recited above, do hereby solemnly proclaim that the territory and region known as and called Eastern Nigeria together with her continental shelf and territorial waters shall henceforth be an independent sovereign state of the name and title of "The Republic of Biafra". After returning to Nigeria, the federal government reneged on the agreement and unilaterally declared the creation of several new states including some that gerrymandered the Igbos in Biafra. 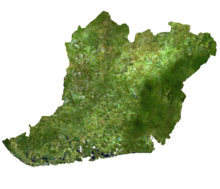 On 26 May the Eastern Region voted to secede from Nigeria. Four days later, Ojukwu unilaterally declared the independence of the Republic of Biafra, citing the Easterners killed in the post-coup violence as reasons for secession. It is believed this was one of the major factors that sparked the war. The large amount of oil in the region also created conflict, as oil was already becoming a major component of the Nigerian economy. Biafra was ill-equipped for war, with fewer army personnel and less equipment than the Nigerian military, but had advantages over the Nigerian state as they were fighting in their homeland and had the support of most Biafrans. The FMG attacked Biafra on 6 July 1967. Nigeria's initial efforts were unsuccessful; the Biafrans successfully launched their own offensive, occupying areas in the mid-Western Region in August 1967. By October 1967, the FMG had regained the land after intense fighting. In September 1968, the federal army planned what Gowon described as the "final offensive". Initially the final offensive was neutralised by Biafran troops. In the latter stages, a Southern FMG offensive managed to break through the fierce resistance. The former Republic of Biafra comprised over 29,848 square miles (77,310 km2) of land, with terrestrial borders shared with Nigeria to the north and west, and with Cameroon to the east. Its coast was on the Gulf of Guinea of the South Atlantic Ocean in the south. 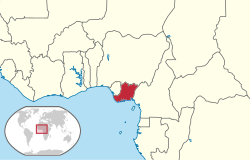 The former country's northeast bordered the Benue Hills and mountains that lead to Cameroon. 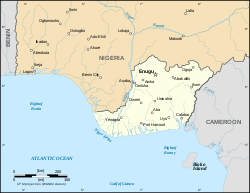 Three major rivers flow from Biafra into the Gulf of Guinea: the Imo River, the Cross River and the Niger River. The territory of the former Republic of Biafra is covered nowadays by the reorganized Nigerian states of Cross River, Ebonyi, Enugu, Anambra, Imo, Bayelsa, Rivers, Abia, and Akwa Ibom. While the Igbo people of the current Nigerian state of Delta were not included in Biafra as per Ojukwu's decree founding Biafra, some Delta Igbo did fight on the Biafran secessionist side. The predominant language of Biafra was Igbo. Along with Igbo, there were a variety of other minority languages, including Efik, Ogoni, Ijaw, Annang, Ibibio, Idoma, Igala, and more. However, English was used as the official language. An early institution created by the Biafran government was the Bank of Biafra, accomplished under "Decree No. 3 of 1967". The bank carried out all central banking functions including the administration of foreign exchange and the management of the public debt of the Republic. The bank was administered by a governor and four directors; the first governor, who signed on bank notes, was Sylvester Ugoh. A second decree, "Decree No. 4 of 1967", modified the Banking Act of the Federal Republic of Nigeria for the Republic of Biafra. The bank was first located in Enugu, but due to the ongoing war, it was relocated several times. Biafra attempted to finance the war through foreign exchange. After Nigeria announced their currency would no longer be legal tender (to make way for a new currency), this effort increased. After the announcement, tons of Nigerian bank notes were transported in an effort to acquire foreign exchange. The currency of Biafra had been the Nigerian pound, until the Bank of Biafra started printing out its own notes, the Biafran pound. The new currency went public on 28 January 1968, and the Nigerian pound was not accepted as an exchange unit. The first issue of the bank notes included only 5 shillings notes and 1 pound notes. The Bank of Nigeria exchanged only 30 pounds for an individual and 300 pounds for enterprises in the second half of 1968. In 1969 new notes were introduced: £10, £5, £1, 10/- and 5/-. It is estimated that a total of £115–140 million Biafran pounds were in circulation by the end of the conflict, with a population of about 14 million, approximately £10 per person. In uncirculated condition these are very inexpensive and readily available for collectors. Roundel of the Biafran Air Force. At the beginning of the war Biafra had 3,000 soldiers, but at the end of the war the soldiers totalled 30,000. There was no official support for the Biafran Army by any other nation throughout the war, although arms were clandestinely acquired. Because of the lack of official support, the Biafrans manufactured many of their weapons locally. Europeans served in the Biafran cause; German born Rolf Steiner was a lieutenant colonel assigned to the 4th Commando Brigade and Welshman Taffy Williams served as a Major until the very end of the conflict. A special guerrilla unit, the Biafran Organization of Freedom Fighters, was established, designed to emulate the insurrectionist guerilla forces of the Viet Cong in the American - Vietnamese War, targeting Nigerian Federal Army supply lines and forcing them to shift forces to internal security efforts. The Biafrans managed to set up a small yet effective air force. The BAF commander was Polish World War II ace Jan Zumbach. Early inventory included four World War II American bombers: two B-25 Mitchells, two B-26 Invaders (Douglas A-26) (one piloted by Zumbach), a converted Douglas DC-3 and one British de Havilland Dove. In 1968 the Swedish pilot Carl Gustaf von Rosen suggested the MiniCOIN project to General Ojukwu. By early 1969, Biafra had assembled five MFI-9Bs in neighbouring Gabon, calling them "Biafra Babies". They were coloured green, were able to carry six 68 mm anti-armour rockets under each wing and had simple sights. The six airplanes were flown by three Swedish pilots and three Biafran pilots. In September 1969, Biafra acquired four ex-Armee de l'Air North American of North American T-6 Texans (T-6G)s, which were flown to Biafra the following month, with another aircraft lost on the ferry flight. These aircraft flew missions until January 1970 and were flown by Portuguese ex-military pilots. Biafra also had a small improvised navy, but it never gained the success that their air force did. It was headquartered in Kidney Island, Port Harcourt, and commanded by Winifred Anuku. The Biafran Navy was made up of captured craft, converted tugs, and armor-reinforced civilian vessels armed with machine guns or captured 6-pounder guns. It mainly operated in the Niger River delta and along the Niger River. The international humanitarian organisation Médecins Sans Frontières originated in response to the suffering in Biafra. During the crisis, French medical volunteers, in addition to Biafran health workers and hospitals, were subjected to attacks by the Nigerian army and witnessed civilians being murdered and starved by the blockading forces. French doctor Bernard Kouchner also witnessed these events, particularly the huge number of starving children, and, when he returned to France, he publicly criticised the Nigerian government and the Red Cross for their seemingly complicit behaviour. With the help of other French doctors, Kouchner put Biafra in the media spotlight and called for an international response to the situation. These doctors, led by Kouchner, concluded that a new aid organisation was needed that would ignore political/religious boundaries and prioritise the welfare of victims. In their study, Smallpox and its Eradication, Fenner and colleagues describe how vaccine supply shortages during the Biafra smallpox campaign led to the development of the focal vaccination technique, later adopted worldwide by the World Health Organization of the United Nations, which led to the early and cost-effective interruption of smallpox transmission in West Africa and elsewhere. In 2010, researchers from Karolinska Institutet in Sweden and University of Nigeria at Nsukka, showed that Igbos born in Biafra during the years of the famine were of higher risk of suffering from obesity, hypertension and impaired glucose metabolism compared to controls born a short period after the famine had ended in the early 1970s. The findings are in line with the developmental origin of health and disease hypothesis suggesting that malnutrition in early life is a predisposing factor for cardiovascular diseases and diabetes later in life. A 2017 paper found that Biafran "women exposed to the war in their growing years exhibit reduced adult stature, increased likelihood of being overweight, earlier age at first birth, and lower educational attainment. Exposure to a primary education program mitigates impacts of war exposure on education. War-exposed men marry later and have fewer children. War exposure of mothers (but not fathers) has adverse impacts on child growth, survival, and education. Impacts vary with age of exposure. For mother and child health, the largest impacts stem from adolescent exposure." The Movement for the Actualization of the Sovereign State of Biafra (MASSOB) emerged in 1999 as a nonviolent and Biafran secessionist group, associated with Igbo nationalism. The group enacted a "re-launch" of Biafra in Aba, the commercial centre of Abia State and a major commercial centre on Igbo land. MASSOB says it is a peaceful group and advertises a 25-stage plan to achieve its goal peacefully. It has two arms of government, the Biafra Government in Exile and the Biafra Shadow Government. MASSOB accuses Nigeria of marginalising Biafran people. Since August 1999, protests have erupted in cities across Nigeria's south-east. Though peaceful, the protesters have been routinely attacked by the Nigerian police and army, with large numbers of people reportedly killed. Many others have been injured and/or arrested. On 29 May 2000, the Lagos Guardian newspaper reported that the now ex-president Olusegun Obasanjo commuted to retirement of the dismissal of all military persons, soldiers and officers, who fought for the breakaway Republic of Biafra during Nigeria's 1967–1970 civil war. In a national broadcast, he said the decision was based on the belief that "justice must at all times be tempered with mercy". In July 2006 the Center for World Indigenous Studies reported that government sanctioned killings were taking place in the southeastern city of Onitsha, because of a shoot-to-kill policy directed toward Biafrans, particularly members of the Movement for the Actualization of the Sovereign State of Biafra (MASSOB). The Nigerian federal government accuses MASSOB of violence; MASSOB's leader, Ralph Uwazuruike, was arrested in 2005 and was detained on treason charges. He has since been released and has been rearrested and released more than five times. In 2009, MASSOB leader Chief Uwazuruike launched an unrecognized "Biafran International Passport" and also launched a Biafra Plate Number in 2016 in response to persistent demand by some Biafran sympathizers in the diaspora and at home. On 16 June 2012, a Supreme Council of Elders of the Indigenous People of Biafra, another pro-Biafra organization was formed, the body is made up of some prominent persons in the Biafra region, they sued the Federal Republic of Nigeria for the right to self-determination, Debe Odumegwu Ojukwu, an eldest son of ex-President / General Ojukwu and a Lagos State-based Lawyer was the lead counsel that championed the case. MASSOB leader Chief Ralph Uwazuruike established Radio Biafra in the United Kingdom in 2009, with Nnamdi Kanu as his radio director; later Kanu was said to have been dismissed from MASSOB because of accusations of supporting violence. The Nigerian Government, through its broadcasting regulators, the Broadcasting Organisation of Nigerian (BON) and Nigerian Communications Commission (NCC), has sought to clamp down on Radio Biafra with limited success. On 17 November 2015, the Abia state police command seized an Indigenous People of Biafra (IPOB) radio transmitter in Umuahia. On 23 December 2015, Kanu was detained and charged with charges that amounting to treason against the Nigerian state. He released on bail on 24 April 2017 after spending more than 19 months without trial of his treason charges. Self determination is not a crime in Nigerian law. According to the South-East Based Coalition of Human Rights Organizations (SBCHROs), security forces under the directive of the federal government have killed 80 members of the Indigenous People of Biafra (IPOB) and their supporters between 30 August 2015 and 9 February 2016 in a renewed clampdown on the campaign. A report by Amnesty International between August 2015 and August 2016, at least 150 pro-Biafran activists overall were killed by Nigerian security forces, with 60 people shot in a period of two days in connection with events marking Biafran Remembrance Day. The Nigerian military killed at least 17 unarmed Biafrans in the city of Onitsha prior to a march on 30 May 2016 commemorating the 49th anniversary of Biafra's 1967 declaration of independence. The Incorporated Trustees of Bilie Human Rights Initiative, representing the IPOB, have filed suit against the Federal Government of Nigeria and Attorney General of the Federation, seeking the actualization of the sovereign state of Biafra by legal means. The Federal High Court, Abuja has fixed February 25, 2019 for hearing the suit. ^ McCormack, Fergus (4 December 2016). "Would You Believe? Flights of Angels". RTÉ Press Centre. Archived from the original on 23 January 2018. Retrieved 22 January 2018. ^ "The Forgotten War". 8 (3). History Ireland Magazine. Autumn 2000. Archived from the original on 22 January 2018. Retrieved 22 January 2018. ^ Phillips, James F. (2018). "Biafra at 50 and the Birth of Emergency Public Health". American Journal of Public Health. 108 (6): 731–733. doi:10.2105/AJPH.2018.304420. ISSN 0090-0036. PMC 5944891. PMID 29741940. ^ Barnaby Philips (13 January 2000). "Biafra: Thirty years on". BBC News. Archived from the original on 15 December 2013. Retrieved 9 March 2011. ^ Mwalimu, Charles (2005). The Nigerian Legal System. Peter Lang. ISBN 9780820471266. ^ alexsamade (9 January 2013). "Biafra: Group sues FG over abandoned property, others". Vanguard News Nigeria. Archived from the original on 26 March 2013. Retrieved 5 April 2019. ^ "WHAT IS WRONG WITH NIGERIA?". Indigenous People of Biafra USA. Archived from the original on 29 March 2019. Retrieved 5 April 2019. 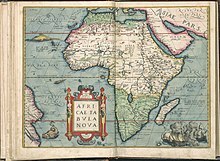 ^ "Map of Africa from 1669". USA: Afriterra Foundation, The Cartographic Free Library. Archived from the original on 24 July 2011. Retrieved 14 March 2010. 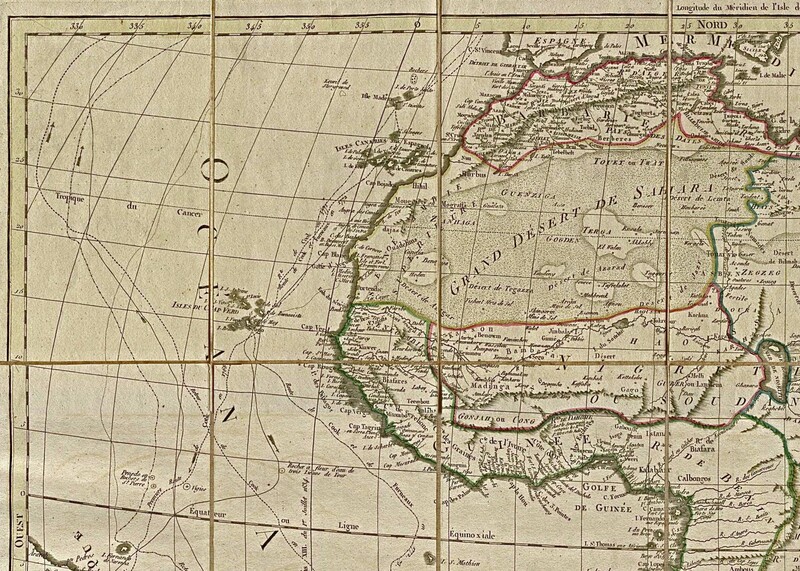 ^ "Map of Africa from 1669" (zoom). USA: Afriterra Foundation, The Cartographic Free Library. Archived from the original on 24 July 2011. Retrieved 14 March 2010. ^ "Map of North-West Africa, 1829". USA: University of Texas Libraries. Archived from the original on 8 August 2009. Retrieved 14 March 2010. ^ Thomas, Charles W. (2005). Adventures and observations on the west coast of Africa, and its islands. Historical and descriptive sketches of Madeira, Canary, Biafra, and Cape Verd islands; their climates, inhabitants, and productions. Accounts of places, peoples, customs, trade, missionary operations, etc., etc., on that part of the African coast lying between Tangier, Morocco, and Benguela, by Rev. Chas. W. Thomas ... With illustrations from original drawings. ^ a b Barnaby Philips (13 January 2000). "Biafra: Thirty years on". The BBC. Archived from the original on 30 September 2009. Retrieved 1 January 2010. ^ Plotnicov, Leonard (August 1971). "An Early Nigerian Civil Disturbance: the 1945 Hausa-Ibo riot in Jos". The Journal of Modern African Studies. 9 (2): 297–305. doi:10.1017/S0022278X00024976. ISSN 1469-7777. Archived from the original on 28 March 2019. Retrieved 27 March 2019. ^ Plotnicov, Leonard (1971). "An Early Nigerian Civil Disturbance: The 1945 Hausa-Ibo Riot in Jos". The Journal of Modern African Studies. 9 (2): 297–305. ISSN 0022-278X. Archived from the original on 27 March 2019. Retrieved 27 March 2019. ^ "WHAT IS WRONG WITH NIGERIA?". Indigenous People of Biafra USA. Archived from the original on 29 March 2019. Retrieved 29 March 2019. ^ Nowa Omoigui. "OPERATION 'AURE': The Northern Military Counter-Rebellion of July 1966". Nigeria/Africa Masterweb. Archived from the original on 23 July 2008. Retrieved 15 August 2008. ^ Willy Bozimo. "Festus Samuel Okotie Eboh (1912–1966)". Niger Delta Congress. Archived from the original on 16 May 2008. Retrieved 17 August 2008. ^ "1966 Coup: The last of the plotters dies". OnlineNigeria.com. 20 March 2007. Archived from the original on 11 December 2008. Retrieved 18 August 2008. ^ a b c d e "Biafran Secession: Nigeria 1967–1970". Armed Conflict Events Database. 16 December 2000. Archived from the original on 5 September 2008. Retrieved 15 August 2008. ^ "Ojukwu's Declaration of Biafra Speech". Citizens for Nigeria. Archived from the original on 11 December 2008. Retrieved 15 August 2008. ^ "Biafra Spotlight - Republic of Biafra is Born". Library of Congress Africa Pamphlet Collection - Flickr. Retrieved 11 May 2014. ^ "Nigeria buries ex-Biafra leader". BBC News. 2 March 2012. Archived from the original on 18 June 2018. Retrieved 21 September 2017. ^ "ICE Case Studies". American University. November 1997. Archived from the original on 27 August 2008. Retrieved 16 August 2008. ^ Nowa Omoigui (3 October 2007). "Nigerian Civil War file". Archived from the original on 28 September 2007. Retrieved 27 October 2007. ^ "On This Day (30 June)". BBC. 30 June 1969. Archived from the original on 12 June 2009. Retrieved 1 January 2010. ^ Minahan, James (2002). Encyclopedia of the Stateless Nations: S-Z. Greenwood Publishing Group. p. 762. ISBN 0-313-32384-4. ^ "Nigeria". Britannica. Archived from the original on 30 June 2008. Retrieved 17 August 2008. ^ Ònyémà Nwázùé. "INTRODUCTION TO THE IGBO LANGUAGE". Archived from the original on 18 August 2008. Retrieved 18 August 2008. ^ a b c d e f g h i Symes, Peter (1997). "The Bank Notes of Biafra". International Bank Note Society Journal. 36 (4). Archived from the original on 27 August 2008. Retrieved 17 August 2008. ^ Ivwurie, Dafe (25 February 2011). "Nigeria: The Men Who May Be President (1)". allAfrica.com. Archived from the original on 14 December 2013. Retrieved 22 May 2012. ^ "Operation Biafra Babies". Archived from the original on 14 October 2008. Retrieved 19 August 2008. ^ a b Jowett, Philip (2016). Modern African Wars (5): The Nigerian-Biafran War 1967-70. Oxford: Osprey Publishing Press. ISBN 978-1472816092. ^ Michael Robson. "The Douglas A/B-26 Invader - Biafran Invaders". Vectaris.net. Archived from the original on 9 May 2013. Retrieved 15 February 2013. ^ Venter, Al J. (2015). Biafra's War 1967-1970: A Tribal Conflict in Nigeria That Left a Million Dead. Helion & Company. p. 137. ISBN 978-1-910294-69-7. ^ "Founding of MSF". Doctors without borders. Archived from the original on 20 December 2015. Retrieved 21 December 2015. ^ "World Health Organization" (PDF). World Health Organization. Archived (PDF) from the original on 18 August 2011. Retrieved 30 November 2017. ^ Hult, Martin; Tornhammar, Per; Ueda, Peter; Chima, Charles; Edstedt Bonamy, Anna-Karin; Ozumba, Benjamin; Norman, Mikael (2010). 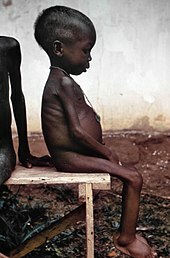 "Hypertension, Diabetes and Overweight: Looming Legacies of the Biafran Famine, PLoS ONE". PLoS ONE. Plosone.org. 5 (10): e13582. doi:10.1371/journal.pone.0013582. PMID 21042579. Archived from the original on 25 April 2012. Retrieved 22 May 2012. ^ "Nigeria: Those Born During Biafra Famine Are Susceptible to Obesity, Study Finds". The New York Times. 2 November 2010. Archived from the original on 7 October 2015. Retrieved 14 February 2017. ^ Akresh, Richard; Bhalotra, Sonia; Leone, Marinella; Osili, Una O. (August 2017). "First and Second Generation Impacts of the Biafran War". NBER Working Paper No. 23721. doi:10.3386/w23721. ^ Duruji, Moses Metumara (December 2012). "Resurgent ethno-nationalism and the renewed demand for Biafra in south-east Nigeria" (PDF). National Identities. 14 (4): 329–350. doi:10.1080/14608944.2012.662216. ISSN 1460-8944. Archived (PDF) from the original on 27 March 2019. Retrieved 17 March 2019. ^ Estelle Shirbon (12 July 2006). "Dream of free Biafra revives in southeast Nigeria". Reuters. Archived from the original on 10 December 2008. Retrieved 17 August 2008. ^ "Biafra News – 04.13.2009". Biafra.cwis.org. Archived from the original on 10 October 2010. Retrieved 22 May 2012. ^ Heerten, Lasse; Moses, A. Dirk (3 July 2014). "The Nigeria–Biafra war: postcolonial conflict and the question of genocide". Journal of Genocide Research. 16 (2–3): 169–203. ^ "Half a century after the war, angry Biafrans are agitating again". The Economist. 28 November 2015. Archived from the original on 29 November 2015. Retrieved 29 November 2015. ^ "Site cidi.org". Iys.cidi.org. Archived from the original on 30 March 2012. Retrieved 22 May 2012. ^ "Emerging Genocide in Nigeria". Cwis.org. Archived from the original on 27 January 2010. Retrieved 22 May 2012. ^ "Chronicles of brutality in Nigeria 2000–2006". Cwis.org. Archived from the original on 18 April 2012. Retrieved 22 May 2012. ^ "MASSOB launches "Biafran Int'l Passport" to celebrate 10th anniversary". Vanguardngr.com. 1 July 2009. Archived from the original on 2 March 2010. Retrieved 22 May 2012. ^ "Court determines suit between Nigeria, Biafra on Sept 22". sunnewsonline.com. 18 July 2015. Archived from the original on 7 August 2015. Retrieved 18 August 2015. ^ Uwazuruike Reveal why he sacked Kanu from MASSOB. 11 January 2017. pp. 29–29. Archived from the original on 17 January 2019. Retrieved 23 February 2019. ^ Senan Murray (3 May 2007). "Reopening Nigeria's civil war wounds". BBC. Archived from the original on 27 December 2008. Retrieved 15 August 2008. ^ "Radio Biafra Container With Massive Transmitter Found In Nnamdi Kanu's Village - NewsRescue.com". Archived from the original on 19 November 2015. Retrieved 23 December 2015. ^ "Nigeria separatist resurfaces in Israel". BBC News. 22 October 2018. Archived from the original on 23 March 2019. Retrieved 17 March 2019. ^ "African Charter on Human and Peoples' Rights". www.nigeria-law.org. Archived from the original on 16 June 2018. Retrieved 13 April 2019. ^ "Biafra will not stand, Buhari vows - Vanguard News". 6 March 2016. Archived from the original on 7 March 2016. Retrieved 6 March 2016. ^ "Nigeria: At least 150 peaceful pro-Biafra activists killed in chilling crackdown". Amnesty International. 24 November 2016. Archived from the original on 4 April 2019. Retrieved 17 March 2019. ^ "WHAT IS WRONG WITH NIGERIA?". Indigenous People of Biafra USA. Archived from the original on 29 March 2019. Retrieved 6 April 2019. ^ "Amnesty accuses Nigerian army of killing at least 17 unarmed Biafran separatists". Archived from the original on 11 January 2018. ^ "Court fixes February to hear suit seeking Biafra republic". guardian.ng. 30 November 2018. Archived from the original on 30 November 2018. Retrieved 30 November 2018.